Designed specifically for families who enjoy luxury camping, Split can be found on the edge of a stunning sandy beach and offers a large range of first-rate facilities. The perfect sun-kissed holiday is waiting for guests who book their stay at Split through LuxCamp. 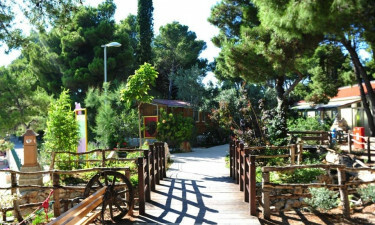 An entrance fee is taken when using the pool in Camping Split. 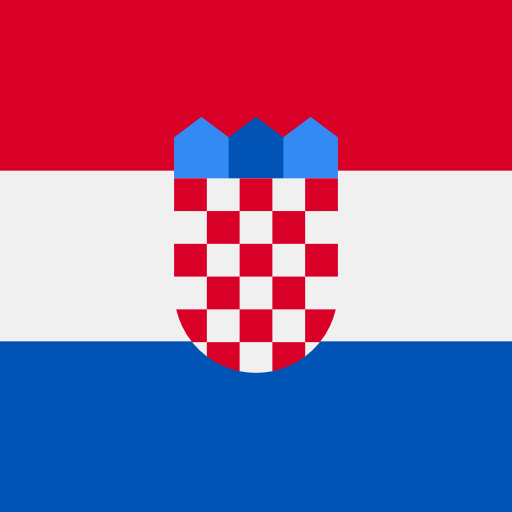 Price is Until 15/6: Kuna 49/day/adult, Kuna 35/day/child 5-12 yrs, free up to 5 years. 15/6-31/8: Kuna 72/day/adult, Kuna 48/day/child 5-12 yrs, free up to 5 yrs. After 31/8: Kuna 49/day/adult, Kuna 35/day/child 5-12 yrs, free up to 5 years. Price includes 1 deckchair per person. This luxury camping site commands a prominent place on the enchanting Dalmatian Coast and guests will want to spend plenty of time strolling along the sure and taking boat trips. However, guests will also find plenty to do on the site and exciting activities include treasure hunts, karaoke competitions and football matches. The cool and clear water at the edge of Split is especially calm and safe for even young children to splash around in. Swimming lessons are also offered by the onsite staff as well as a number of exciting activities for people of all ages such as beach volleyball, aerobics classes and water polo. 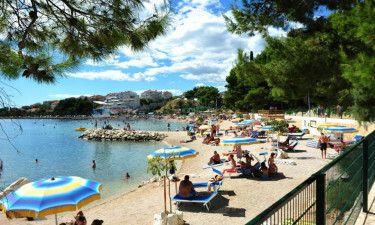 Split is situated on the very edge of one of the most stunning stretches of sand on the Dalmatian Coast and families are treated to private beach access. Guests will also be able to soak up the ocean views from the porch of their modern and spacious mobile home.